In the planned city of Islamabad, order and disorder are produced through the ceaseless inscription and circulation of millions of paper artifacts among bureaucrats, politicians, property owners, villagers, imams (prayer leaders), businessmen, and builders. What are the implications of such a thorough paper mediation of relationships among people, things, places, and purposes? Government of Paper explores this question in the routine yet unpredictable realm of the Pakistani urban bureaucracy, showing how the material forms of postcolonial bureaucratic documentation produce a distinctive political economy of paper that shapes how the city is constructed, regulated, and inhabited. Files, maps, petitions, and visiting cards constitute the enduring material infrastructure of more ephemeral classifications, laws, and institutional organizations. 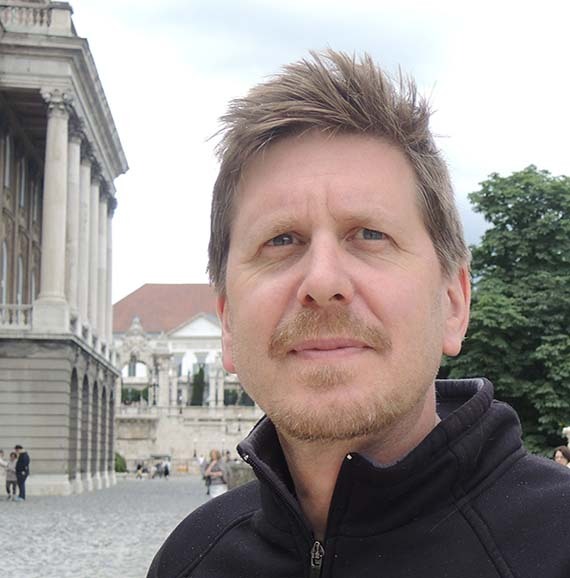 Matthew Hull is an associate professor in the Department of Anthropology at the University of Michigan. His research focuses on the nexus of representation, technology, and institutions. 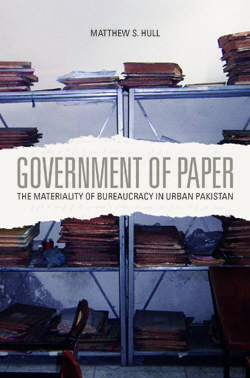 His book, Government of Paper: The Materiality of Bureaucracy in Urban Pakistan (University of California Press, May 2012), examines governance as a semiotic and material practice through an account of the role of writing and written artifacts in the operations of city government in Islamabad. He has also worked on the deployment of American technologies of democracy in urban India from the late 1950s and early 1960s. He is currently working on the history and theory of the modern corporation and lotteries in India. In the Department of Anthropology he is associated with both the Social-Cultural and the Linguistic Anthropology subfields. His other affiliations include the Interdisciplinary Program in Anthropology and History, the Program in Science, Technology and Society, and the Center for South Asian Studies. He received his PhD in anthropology from The University of Chicago in 2003. He was a Fellow of the Michigan Society of Fellows from 2003-04 and taught for several years at the University of North Carolina before returning to the University of Michigan. He teaches courses on corporations, technology and materiality, language, South Asia, and social theory. Documents and Bureaucracy. Annual Review of Anthropology, Vol. 41, October 2012. 790. Communities of Place, Not Kind: American Technologies of Neighborhood in Post-Colonial Delhi. Comparative Studies in Society and History, 2011, 53(4): 757–790. Democratic Technologies of Speech: From WWII America to Post-colonial Delhi. Journal of Linguistic Anthropology, 2010, 20(2): 257-282. Uncivil Politics and the Appropriation of Planning in Islamabad. In Beyond Crisis: A Critical look at Contemporary Pakistan. London: Routledge. 2009, pp. 442-471. Ruled by Records: The Appropriation of Land and the Misappropriation of Lists in Islamabad. American Ethnologist, 2008, 34(4): 501–518. The File: Agency, Authority, and Autography in a Pakistan Bureaucracy. Language and Communication, 2003, 23(3-4): 287-314.